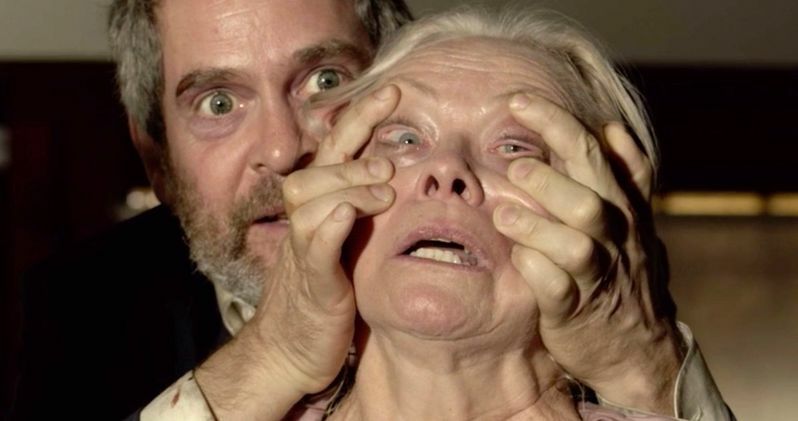 A little movie called Bird Box started streaming on Netflix back on December 21, 2018. You may have heard of it. The film starred Sandra Bullock (Gravity, The Blind Side) and birthed an internet full of memes, challenges, and more. It was kind of a thing last year to put it lightly. And it turns out the movie's success has inspired the author of the book on which the Netflix original film was based, Josh Malerman to take to the typewriter once more for a sequel novel called Malorie. A sequel that will follow Sandra Bullock's character from the movie once again and the author promises it will expand on what we know about the creatures. "In the time between Bird Box coming out and the time since I've been writing Malorie, I've been asked a ton of times: people want to know what happened with Boy and Girl. But as much as I care about Boy and Girl, this isn't their story. The Bird Box world is Malorie's story, and I wanted to know more about her. I wanted to get to know her even better. At the end of the movie, I turned to my girl Allison and said, "I want to know what happens next!" and she's like, "Well, you know, you could make that happen," so it really was this warm feeling." The story this time around the river bend takes place eight years after the original story's end. But when asked if there will be any resolution to where the monsters come from, Malerman said that he couldn't or wouldn't say. But he did put out there that once the last page of this new nightmare has been turned the reader will know more about both Malorie herself and the creatures. "I want to [talk about the creatures] but... I don't want to give too much away. Let me think of a cool way to put it. I will say this: we get to know both Malorie and the creatures better." The original movie began when a mysterious force decimates the population and paves way for a future where only one thing is certain -- if you see it, you die. Survivors, such as Sandra Bullock's Malorie must now avoid coming face to face with an entity that takes the form of their worst fears. Searching for hope and a new beginning, Bullock and her adopted children embark on a dangerous journey through the woods and down a river to find the one place that may offer sanctuary. To make it, they'll have to cover their eyes from the evil that chases them -- and complete the trip blindfolded. The Netflix original movie was directed by Susanne Bier from a screenplay written by Eric Heisserer based on the novel by Josh Malerman. Dylan Clark, Chris Morgan, and Clayton Townsend produced. The film starred Sandra Bullock as Malorie Hayes, Trevante Rhodes as Tom, Jacki Weaver as Cheryl, John Malkovich as Douglas, Sarah Paulson as Jessica, Rosa Salazar as Lucy, Danielle Macdonald as Olympia, Lil Rel Howery as Charlie, Tom Hollander as Gary, and Machine Gun Kelly as Felix. They were joined by BD Wong as Greg, Pruitt Taylor Vince as Rick, Vivien Lyra Blair as Girl/Olympia, Julian Edwards as Boy/Tom, Parminder Nagra as Dr. Lapham, Rebecca Pidgeon as Lydia, Amy Gumenick as Samantha, Taylor Handley as Jason, and Happy Anderson as the River Man. Trent Reznor and Atticus Ross provided the movie's haunting score. Malorie is due out October 1, 2019. You can check out the cover art below. This story was originally shared by Esquire.